We have a product that enhance how the PC has functioning. We aim to free you from advertisement of unknown origin. To remove ALL detected items, you need to have an activated copy of our software. It is important to wipe out all threats from the PC memory as the first step on the way of cleaning your PC. Active protection necessary when you need to be sure, that all files you are starting on your PC is are safe and clean. We appreciate your feedback, and each time you contact our Support and Analytical Teams you improve our experience and our productivity. We need your reports to have more information about current threats, and to produce more powerful protection. We update our Threat List hourly and even more frequently when it is deemed necessary. Our accompanying built-in tool that is able to recognize and remove threats that were injected into your browser (or several of them). Our support is always there for your service. Online chat, ticket system or mail - you can be assured: we'll help you any way we can. There are a range of software claiming they will cure your PC. 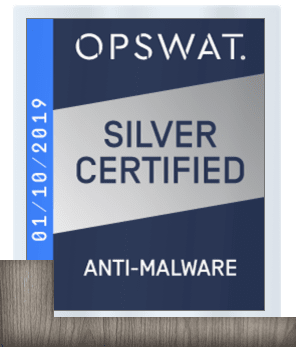 OPSWAT certifies endpoint security applications for compatibility, false positives, and quality. Thatâ€™s why, being a partner means that our software really worth your attention. Protecting organizations from content and device based threats. one Gridinsoft Anti-Malware license can be used for 1-2 home computers. one Gridinsoft Anti-Malware license can be used for 3 home computers. one Gridinsoft Anti-Malware license can be used for 5 home computers. In those cases when you need more licenses or different their combinations, or 2 and more Corporate licenses, please contact our Support Center, we always have a good proposition for you. Free your time for having more fun with your friends and family. There are many other peoples in the world whoâ€™s job to clean PCs. Donâ€™t do their job yourself. As we get older, we get better at choosing in ways that will make us happy. We do a better job at picking activities that make us happy, and at spending time with people who make us happy. Weâ€™re also better at letting things go.